I was already planning to be in Scottsdale, Arizona for the Girls on the Run Summit, when my colleague asked me if I wanted to run the Rock n Roll Arizona Half-Marathon Two-Person Relay with her. 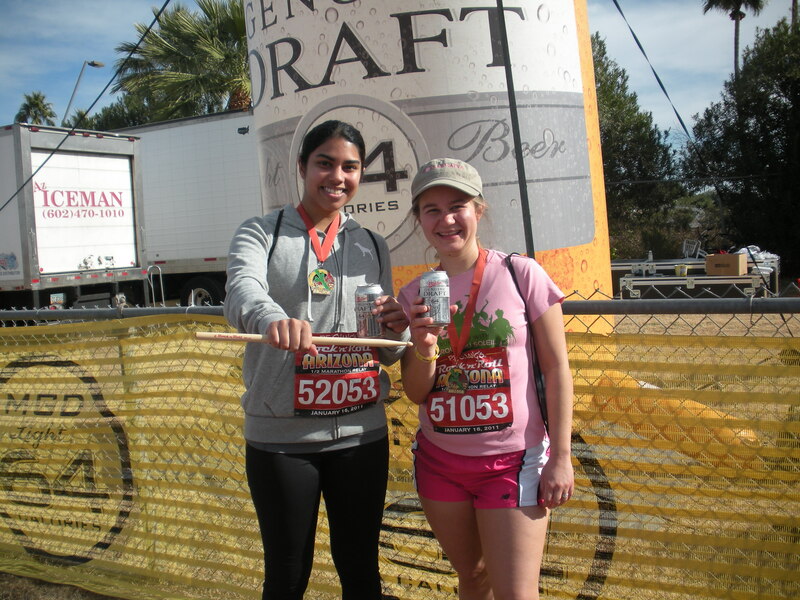 After checking out the registration website, and realizing that I only had to run 4.5 miles plus I got free beer at the finish line, I was hooked. We got into Phoenix yesterday afternoon and headed to the Health & Fitness Expo. 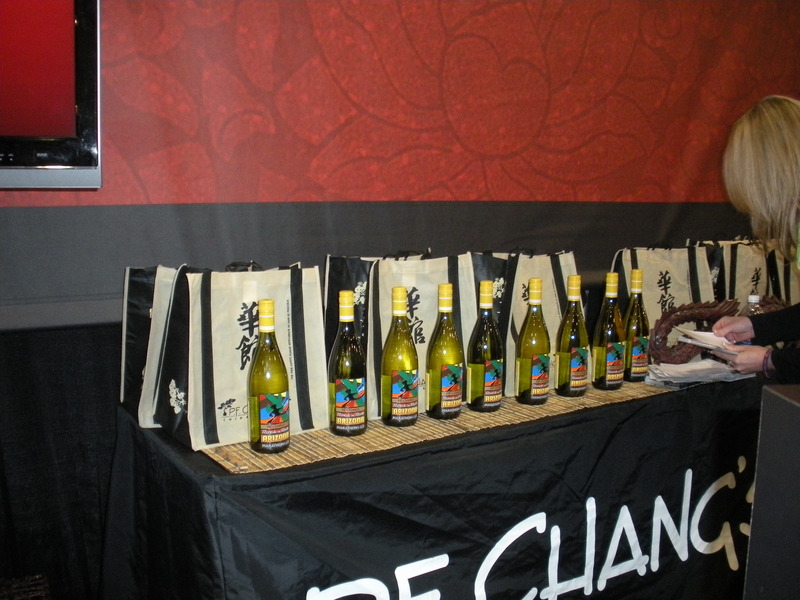 After picking up our packets, we made a mad dash around the expo to collect as many free samples as possible. All my cool swag from the expo. I seriously didn't hear the Larabar sample person tell about the 2 bar limit until I had already put 6 bars in my bag. Oops! Last night we met up with other Girls on the Run staff, coaches and board members from across the United States at a pre-marathon carbo-loading dinner at the Roaring Fork in Scottsdale. Many of the runners were participating in the marathon or half-marathon as SoleMates, an adult charity running program that raises funds for Girls on the Run. 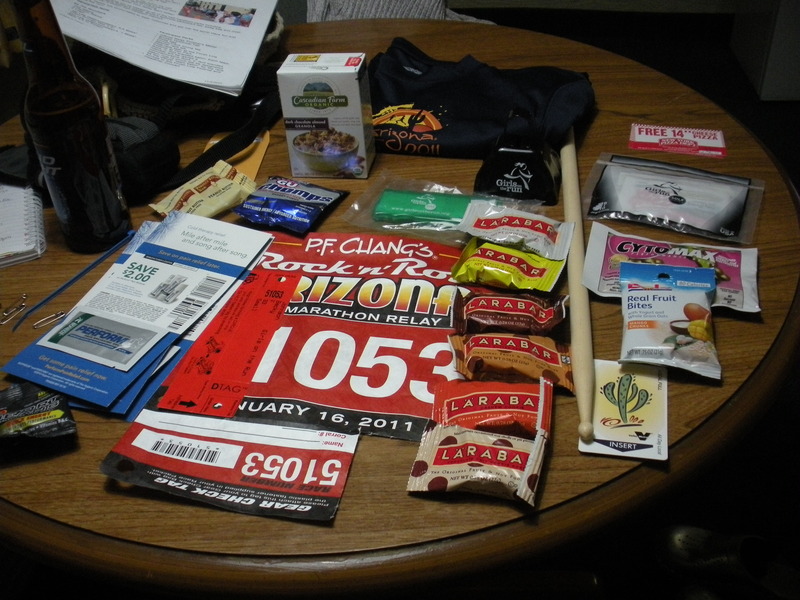 I’ll be running a half-marathon for SoleMates later this year – more on this in an upcoming post. 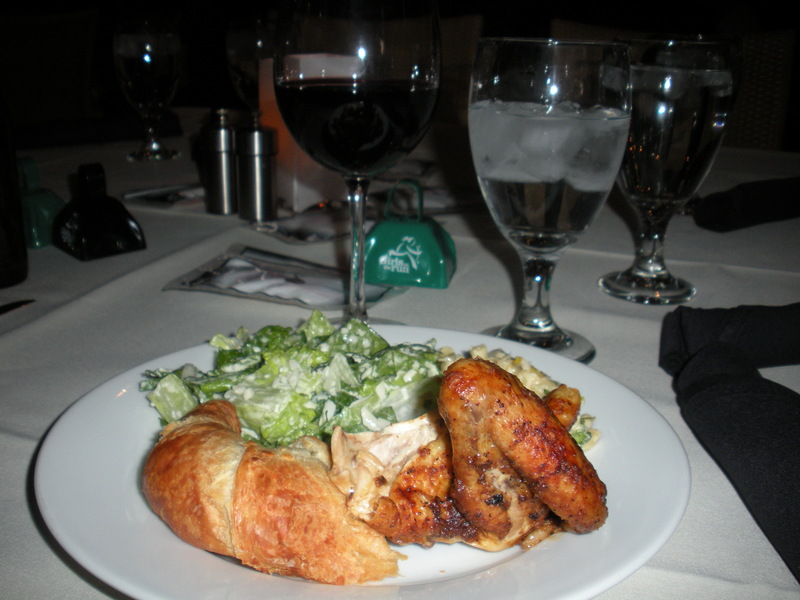 So dinner at the Roaring Fork = super delicious. The best part was the green-chile mac & cheese. 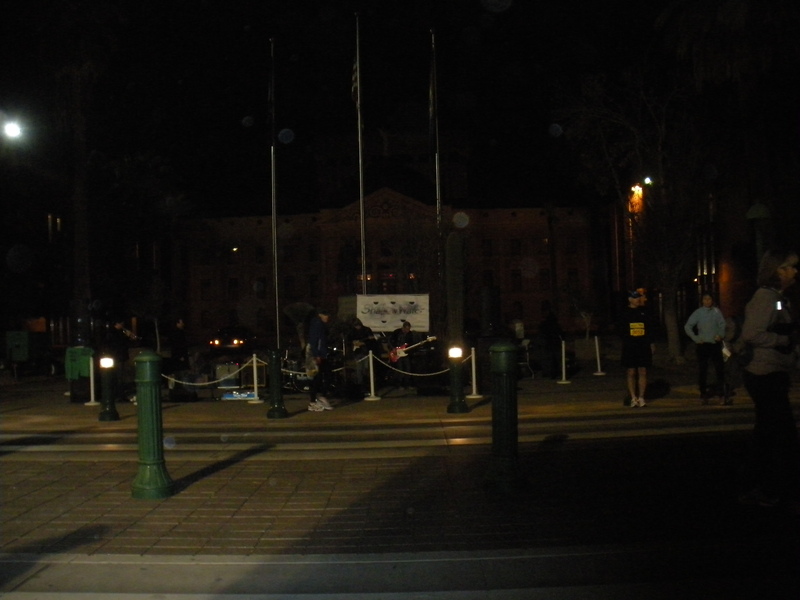 Marathon morning, we were up at 4 am (3 am by Las Vegas time) to catch the bus to downtown Phoenix. We were there by 6 – about 4 hours before I started running – but fortunately we at least had a band to listen to while we froze in the dark. These guys were troopers. 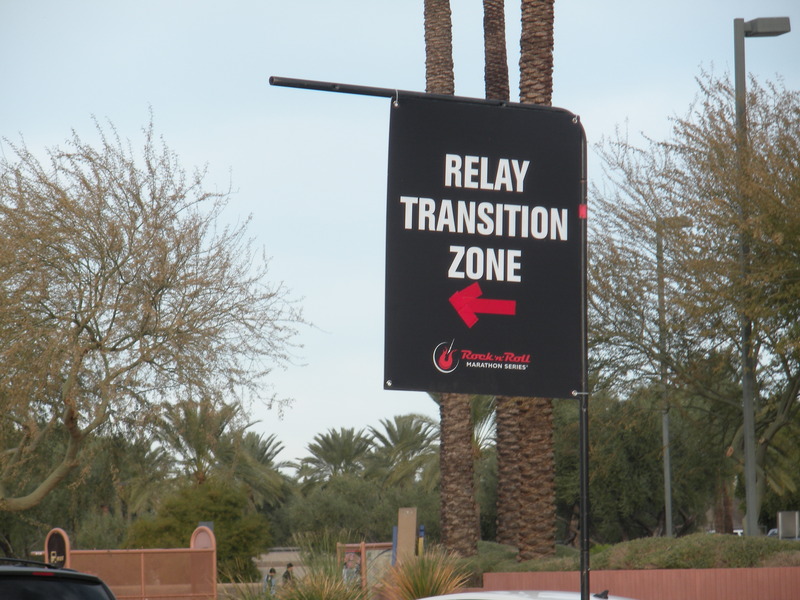 Back to the relay, my colleague, Veka, ran the first 8.5 miles, and I took public transportation to the relay transition area, where we met up and I ran the remaining 4.6 miles. The relay itself was super fun – a great opportunity for people not up to the full or half-marathon experience to participate in the event. I hope relays are offered more often at upcoming races. In the end – we rocked! Our cumulative time for the half-marathon was 2:16:22, and we just missed placing in the top-third of the all-female division. 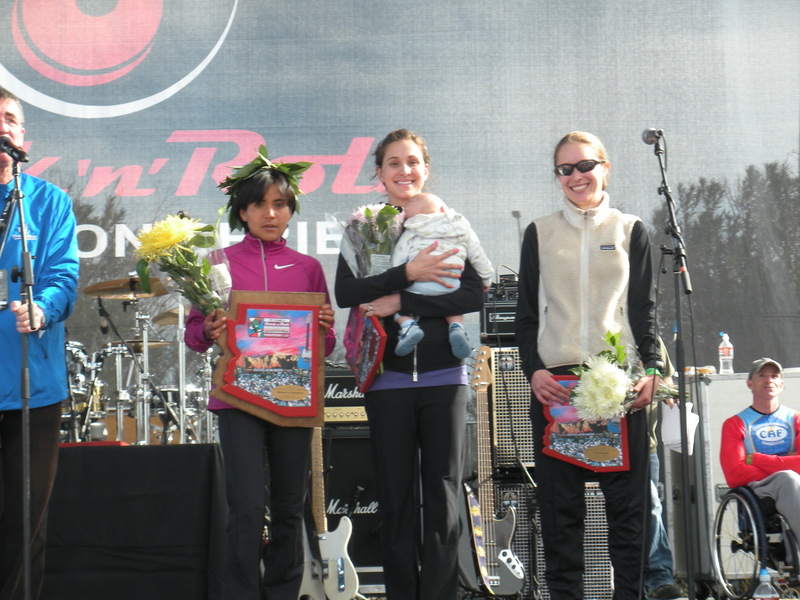 The top 3 female half-marathon finishers. It's amazing that the 2nd place finisher just gave birth in September and she's already back and almost winning races. The top 3 marathon finishers. 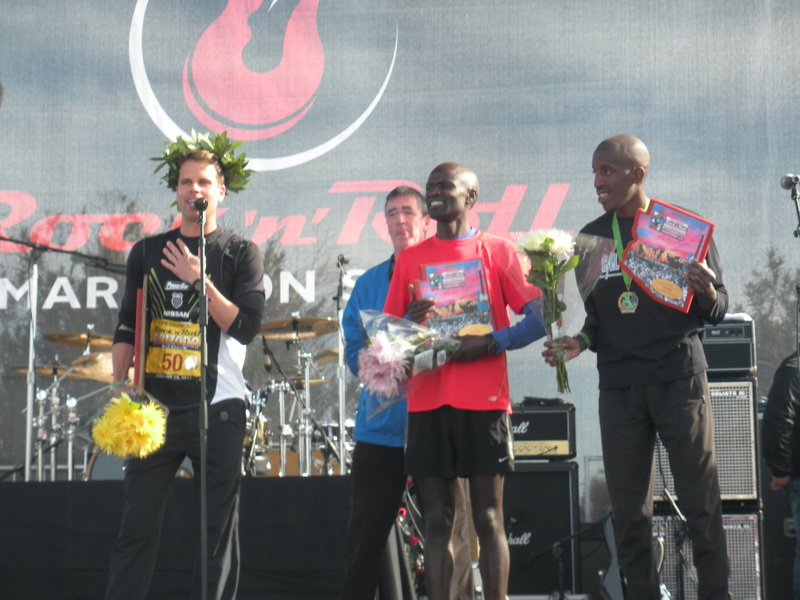 The winner (on left) ran an additional 18 laps around the track at ASU after the race and broke the American record for the 50K. He missed the world record by only 7 seconds. 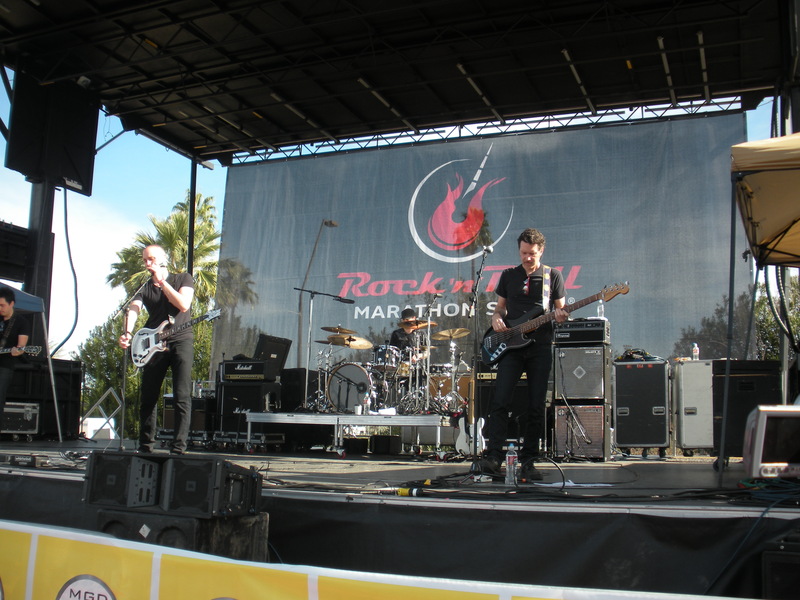 Vertical Horizon, the post-race concert main act. 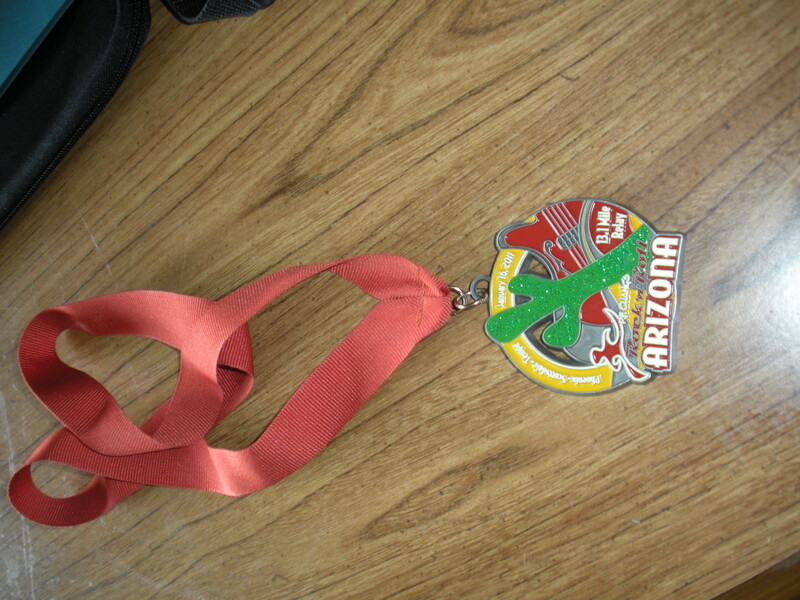 This entry was posted in Becky's Adventures, Healthy Living and tagged Arizona, Marathon, races, relay, Rock n Roll Marathon, Running, Scottsdale, Vertical Horizon. Bookmark the permalink.